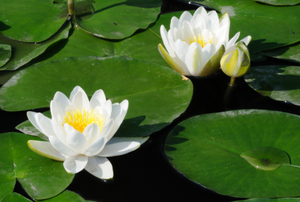 Dividing water lilies multiplies your plants, but be sure not to overcrowd your pond. 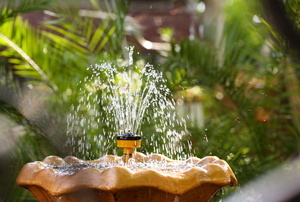 Keep your outdoor waiter fountain flowing with these repair tips. Watercourses and cascades may be installed in various ways to blend harmoniously into the landscape. Create your own rock fountain and give your private garden that little something extra. If you want a small garden pond but you live in an apartment, you don't have to give up the idea altogether. 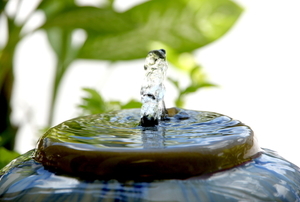 A garden pond that uses gray water is a pond that's replenished with used water from household activities. Outdoor water fountains provide a great deal of character and light in finishing off the landscape design.